Originally from India, the Nelore breed arrived in South America in the late eighteenth century, soon spread, being mainly established in Brazil. “Separate” is the main action in the daily life of Agro Maripá managers. Identifying the capacity of the animals for the characteristics of economic relevance allied to the racial standard is the great challenge of the selection program. Based on partnerships of high credibility and commitment to sustainability in genetic improvement, it is what makes Agro Maripá a company of excellence. 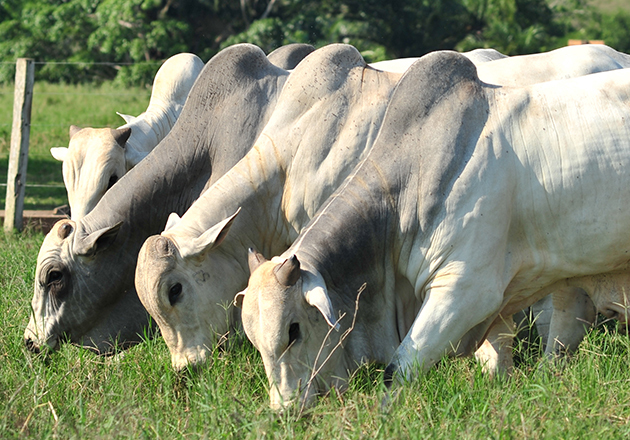 The Agro Maripá Progeny Test (TEPAGRO) consists of evaluating the performance of the featured bull’s products in the ANCP and Clarifide evaluations in many breeding environments and systems. It is currently the only progeny testing program conducted by a private institution certified by the Ministry of Agriculture, Livestock and Food Supply (MAPA).